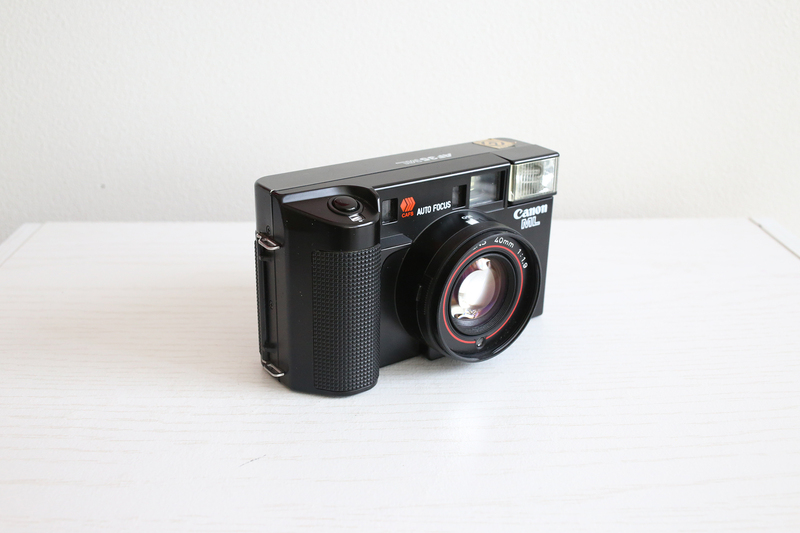 The A35ML is a sleek, noisy, compact auto-focus camera from 1981 featuring a 40mm f/1.9 lens. These were marked in the United States as "Sure Shot" and "Autoboy" in Japan. They were first made available in 1979. There were quite a few others but these were the ones available until 1986. What made the Autoboy revolutionary was that it was the first Canon autofocus camera. This ML version has an LED that lights up if the subject is in focus. The Quartz Date versions of each of these cameras had a date-imprint feature on the back of the camera, making them slightly more expensive.